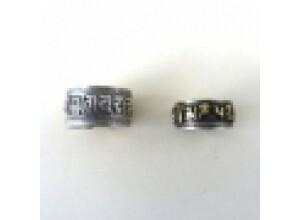 Silver rings with Om mantra in gold plate. This is a chunky silver man's ring. 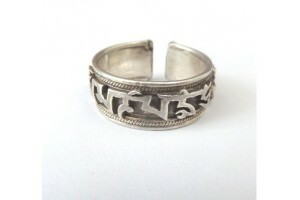 "Om Mani ..
Small silver ring with Om Mani Mantra brass letter..
A small silver ring with Tibetan "Om Mani mantra l..